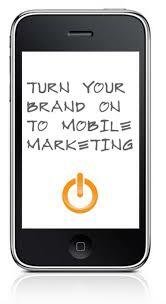 This weeks guest blog feature is from John Ryan of go2mobile.com on SMS Mobile Marketing. Go2mobile are based here at Roselawn House and their knowledge on the subject is second to none. We hope you enjoy the blog and find it as useful as we did. Thanks John. First of all, let me express a sincere “Thank you” to Michelle at Roselawn House for this guest blog opportunity. We here at www.go2mobile.com are a corporate text messaging service provider based in Limerick within the Roselawn House Office Suites. We are often asked how SMS could improve a business’s sales through mobile marketing. There is not one single answer to this, as SMS mobile marketing can be applied in many variations and under many guises. For example, a hair-salon might use SMS mobile marketing to remind clients of appointments and broadcast vouchers to loyal customers (often called m-Vouchers or m-Coupons) while a boutique may use SMS to invite customers to an evening fashion event related to their latest spring collection. At the end of this post, we have highlighted some mobile marketing links that cover all these aspects. 1) Personalise: Always try to personalize the message in some manner, either by automatically inserting a person’s Firstname or by a tailored value token such as the number of loyalty points the customer may have gained. 2) Precise: Always make the SMS relevant; tailor your SMS to the intended targeted distribution group. 3) Prompt: Always include a call to action, a prompt for a user to engage with the message. For example a SMS coupon that the recipient can present instore to claim a discount. 1) Generating a constant interactive dialogue between each other (business -> consumer /landlord->tenant), sometimes referred to as loyalty or retention. 2) Enforces brand awareness of your product/business name/service by using it as the identifier of the SMS. 3) If notifications are relevant, informative and beneficial it can cause a “sticky” type effect with costumers/tenants. 1) Wishing to build a mobile marketing list for future campaigns. 2) Customer retention/loyalty (sending out offers, or m-cou pons). 3) Enforcing brand awareness (can use the product/business/service name as the mobile sender identifier instead of a generic mobile number; maximum of 11 characters). 4) Generating interest in a new promotion/service. 5) Advertising an event (send out m-Tickets for example). 1) Online Group Messaging services (usually after uploading your mobile marketing list). 2) Sending SMS from your regular email accounts (allows you to use your own contacts). 3) Using software such as a CRM (Customer Relationship Management) system; auctioneers frequently use this type of service to automatically send out marketing alerts when specific criteria are matched for a house that is placed on sale. When creating your campaign, you must ensure that the mobile numbers were opted in, meaning that the recipient actively requested to have further messages sent to him/her. At the end of this post there are links which explain how to do create such mobile lists. It is also imperative that your business always includes an opt-out facility within every broadcasted message. 1) SMS has been accepted and is used by a wide age range of people. 2) There is national and international extensive and robust network coverage ensuring the message can be delivered. 3) SMS messages are delivered and displayed regardless of the type of phone platforms (a text message can be read on an iPhone as well as a Nokia Lumia or Android based phone). One final important point, which will be further highlighted by the links at the end of this post, is to control costs by monitoring the length of the SMS (170 characters is considered 2 messages for example) and ensure to use plain standard characters in your SMS so it can be displayed correctly on the majority of phones (sometimes symbols can be mistranslated depending on the phone platform).